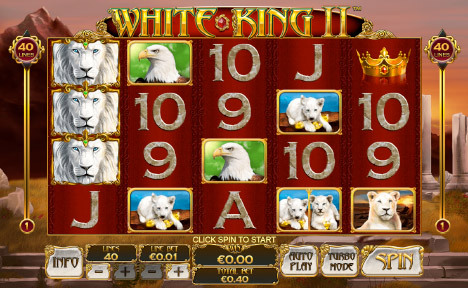 White King II slot is a squeal to the very popular White King that Fly Casino members have enjoyed for years. Similar to the first, this new 40- line slot has an African Wildlife theme it’s available in across Desktop and Download. The main Free Spins Bonus is called the Majestic Nights Free Games Bonus and this will instantly trigger when three or more Scatter Symbols land anywhere on the reels. The guaranteed lowest number of Free Spins that you receive five. Get four Scatter Symbols gets you 15 Free Spins, Five gets you 25 Free Spins and Six gets you 50 Free Spins! 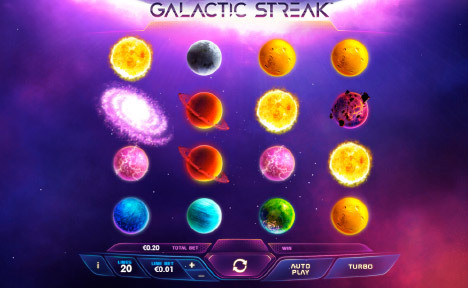 Galactic Streak –is the newest cosmic themed slot game with a lot of interesting in-game and bonus features. TRIPLE $50.00 Bonuses! On Sunday from 00:00GMT until 23:59 GMT, all members on their deposit of just $/£/€30 or more will receive a 100% bonus up to 50.00. Claim 3X. Double $100 Monday! From 00:00GMT until 23:59 GMT, all members on their deposit of $/£/€30 or more get a 100% bonus up to $100.00. Big Money Tuesday! From 00:00GMT until 23:59 GMT, all members on their deposit of $/£/€30 or more will receive a 110% bonus up to $220.00 bonus.